What’s the “Best” White Noise? Learn which type is best for you. Liz Heinberg, Crappy sleeper turned sleep evangelist. Loves words, branding, fresh veggies, physical activity, horses, and her husband. Dis-loves inefficiency and mayonnaise. 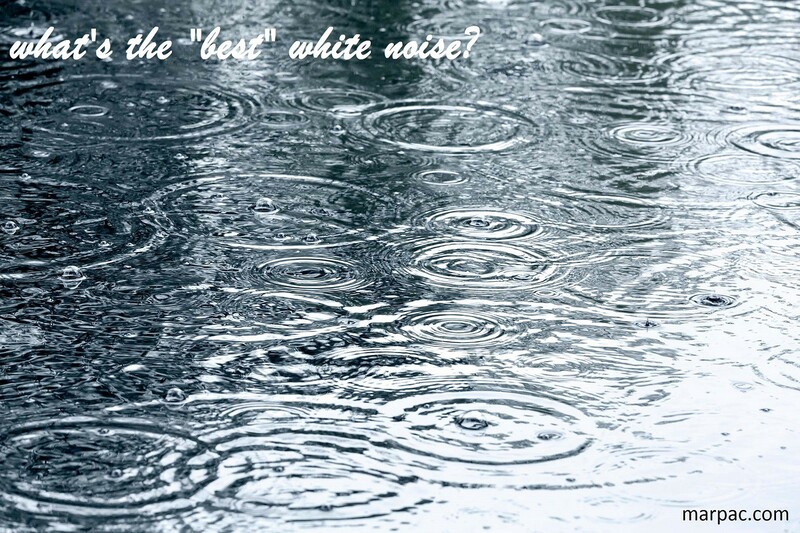 All white noise is not created equal. The best white noise is similar to the best diet or the best kind of exercise — basically, it’s whatever works best for you. That being said, I’ve learned a thing or two in my years at Marpac, both from listening to lots of sound machines and from listening to lots of customers, so here are a few truths which may be helpful. The quality of the sound is really important. If your source of white noise has terrible speakers, a discernible sound loop, or an annoying intermittent squeak, your brain will focus on that noise. That’s part of why I’d recommend using a machine designed for the purpose of creating white noise, rather than an alternative source such as a fan. The adjustability of the sound is important, too. It doesn’t have to be loud enough to actually cover the noises. This is the really cool thing about white noise. The actual decibel level of the sound machine does not need to exceed the decibel level of the noises you are masking. Disruptive noises are made less impactful by the presence of a background sound, and because the brain has something constant to focus on, you’re less likely to be bothered by noises which might have been problematic if the room were completely quiet. Finally, know that it’s not about bells and whistles or the number of sound options a machine has to choose from. While customization is important, many people find their perfect sound and then stick to it — and in my experience, most people find simple, all-natural sound to be the most soothing and easy to ignore (in a good way.) The Dohm has been a super popular white noise machine since 1962 for good reason! These guidelines are a good place to start, but my overall recommendation would be to experiment. Try different tones, volumes, and sounds, if you like, and also try altering the placement of your white noise device. If you’re most interested in masking noises — not just creating a soothing background sound — then you may want to place the machine between yourself (your bed, your desk — wherever you’re spending the most time) and the greatest source of noise — often a window or door. The World Is Way Too Loud. Here's How You Can Quiet It.